Lower the global rate of neonatal deaths by improving local newborn care for both premature and full-term infants that require medical attention. The Nightwatch Foundation will collaborate with institutions that are considered centers of excellence in neonatal care in the region. 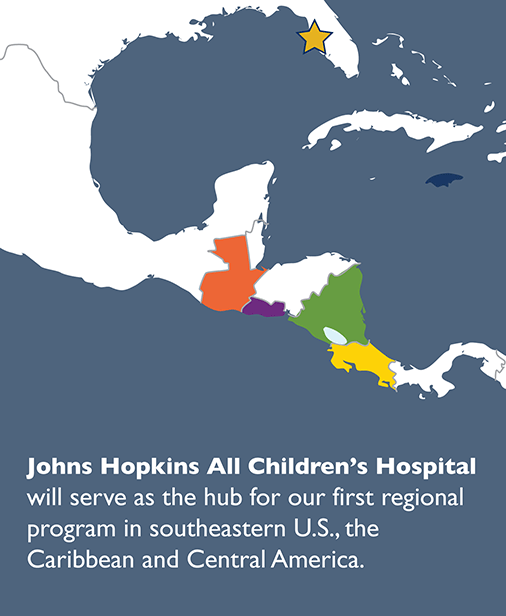 We will work together with Johns Hopkins All Children's Hospital in the Central American and Caribbean region. To maximize the impact of limited resources and improve the level of care, Nightwatch will leverage a geographical “hub and spoke” approach. This hub will serve as a centralized knowledge center that supports the spokes. Over time, our goal is that our alumni and associated hospitals will then in turn become “hubs” for their local communities. of Florida will serve as the hub for our first regional program in southeastern U.S., the Caribbean and Central America. Most deaths are related to preterm complications that can be prevented with training in essential, low-cost practices. Only if practitioners are properly trained can technology be effectively used. Collaborating hospitals will become the education and research centers of excellence in neonatal care for entire regions. Newborns will be the immediate beneficiaries from increasing survival rates to reducing the rate of relapses and disabilities. Providing proper local care reduces the stress on newborns and allows for timeliness of care. In addition to having improved care for their newborns, families would also benefit from having local alternatives. Local treatment also can mean less of an expense burden (than receiving treatment in another country) and would allow for proximity to the family’s support network in the area. Participants will count on an increased preparedness and access to necessary knowledge and tools to improve the level of care and services. 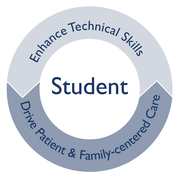 Being part of an integrated network of doctors and nurses, they will have opportunities to mentor and learn, as well as have access to alternative training practices. Communities in The Nightwatch Foundation program regions will have access to improved local care for it's members. The more data we collect on successful interventions, treatment innovations, and best practices around the world, the better our global standards of care will be. Lifesaving interventions come from all around the world. Hospitals working in collaboration with The Nightwatch Foundation will become the education and research centers of excellence in neonatal care for entire regions. In addition to increasing brand recognition locally and abroad, the hospitals can be recipients of the foundation's resources.